Our outstanding program begins with the learning premise that children grow in all aspects through their natural desire to play. A child's development requires attention to their physical, emotional, social, and intellectual needs. Creative Corner's mission is to provide an environment that stimulates each child's curiosity and development. Our teachers believe that each child is a unique individual with different needs, strengths, and developmental rates. To meet each child's needs, we provide a rich variety of activities and experiences, as well as an atmosphere of love, understanding, and acceptance. 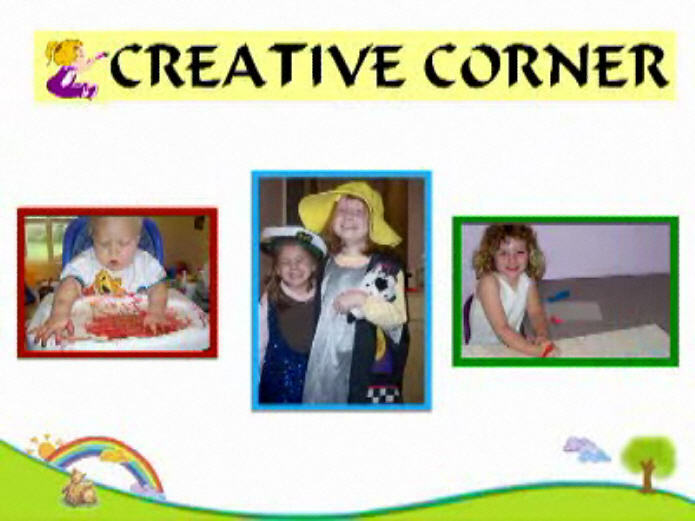 Creative Corner is built and designed, not for adult aesthetics, but rather for the enrichment of young children. Each room is bright and colorful, including furnishings chosen to stimulate imagination and learning. Class sizes are kept small for more individual learning opportunities. We strive to provide a homey atmosphere, as opposed to a more formal, school-like setting. You can also view a copy of our printed brochure, and download an application form which you can fill out to begin the enrollment process for your child. Please contact our Director, Donetta Thomas or Owner, Janine Conway, at (410) 822-2123 or e-mail at creativecornerkids@yahoo.com if you have any questions or would like to schedule a tour. Copyright 2011 Creative Corner, Inc. All rights reserved.